Grecian Rocks is one mile to the south of Key Largo Dry Rocks, and within the boundaries of the Key Largo Existing Management Area, formerly Key Largo National Marine Sanctuary. Grecia Rocks contains stands of elkhorn coral and various in depth from emergent at low tide to depths of around 30 feet. 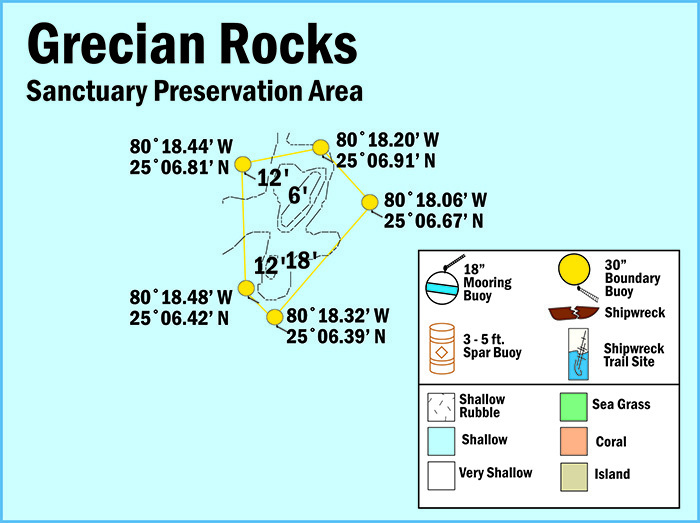 View a map showing the location of mooring buoys within Grecian Rocks Sanctuary Preservation Area.